Then her brother's friend Linus stumbles into her life. With his friendly, orange slice smile and his funny notes, he starts to entice Audrey out again, well Starbucks is a start. And with Linus at her side, Audrey feels like she can do the things she'd thought were too scary. Suddenly, finding her way back to the real world seems achievable. Fourteen year old Audrey lives with a debilitating social disorder, unable to venture outside except to visit that of her therapist. The mere thought of social interaction causes Audrey to spiral into a wild panic, her dark glasses a coping mechanism as to avoid eye contact for those around her, including her immediate family. But life hasn't always been so exhausting, an incident leaving Audrey shaken and watching not only her schooling, but her former friends slip away. No one truly understands Audrey's illness, what it feels like to be imprisoned inside your own thoughts. Not her overbearing, suspicious mother who lives all their lives according to The Daily Mail, older brother Frank who plans on becoming a professional gamer, or her quiet and reserved father, who dare not disagree with his wife. Audrey is being held captive by fear, but desperately longs to escape and to feel normal again. Who knew that hope would come knocking in the form of Linus. Fifteen year old Linus is a part time actor, part time student and full time gamer, sharing the same grandeur of winning an online gaming championship as Frank. But according to The Daily Mail, hours of playing computer games per week destroys young minds and while Frank is in their mother's line of fire, Audrey and Linus begin a tentative friendship consisting of pocket notes and shoe contact. Any interaction is seen as a positive breakthrough for Audrey after her ordeal. Linus may not understand her illness, but he inspires something in Audrey that forces her out of her comfort zone and begin to live again. The fear starts to dissipate and Audrey realises that Linus represents a future she so desperately needs. To be free of her illness and learn to live and love again. Finding Audrey is a fun and lighthearted romantic comedy, that follows the story of Audrey who is suffering from an anxiety disorder. Audrey is aware of the reader, which only heightens her story and allows us into her debilitating world. An incident has left Audrey catatonic with fear at the mention of interacting with those outside of her immediate family, instead the fourteen year old retreats to her darkened den where she watches the Shopping Network to relax. But Audrey shares her story with the entire Turner family, each playing a role in her recovery, even if indirectly. Audrey's mother is hilariously overbearing, with her life revolving around a newspaper. Handy home tips? The Daily Mail. Parenting advice? The Daily Mail. Your son shows signs of a gaming addiction? The Daily Mail. Throughout the storyline, we see her obsession with freeing older brother Frank from the oppression of video games, against his will. Their scenes together were laugh out loud funny, so unexpected from a book addressing mental illness and lifted the mood making it a lighthearted read. The budding romance between Audrey and Linus was absolutely lovely. He challenged her, but was patient and didn't fix her per se, but aided in her recovery and gave Audrey the means to venture out of her comfort zone. Realistically, mental illness takes much more than a weekly therapist and a love interest to recover, but I appreciated Finding Audrey for it's entertainment that never failed to make me laugh, value rather than realism. I loved the Turner family unit, they were far from perfect, but such a strong presence in Audrey's life. Four year old Felix was positively charming. He's the only person that Audrey felt at ease with, and was able to take off her glasses and not face the fear of judgement. Each character had their own district personality that jumped off the pages, reducing me to fits of laughter between heartwarming moments. I absolutely adored it. Wonderfully written, lighthearted and incredibly funny. 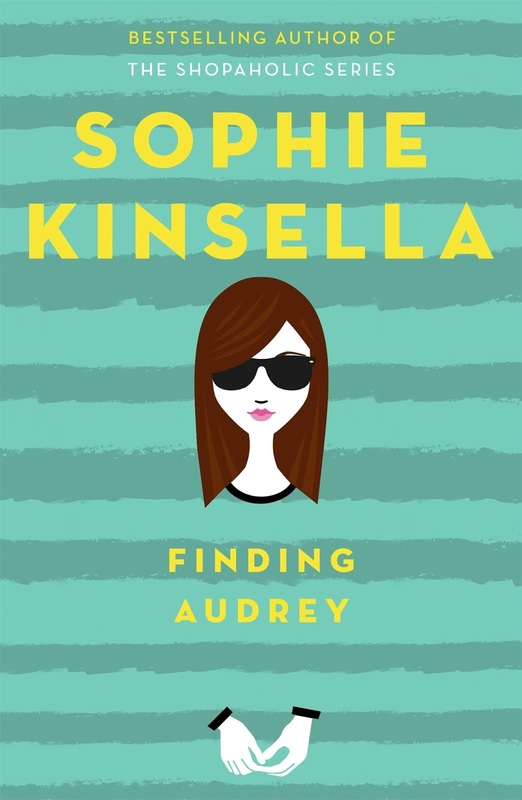 Sophie Kinsella's first foray into young adult is nothing short of a brilliant success. Laugh out loud funny, you'll fall in love with the Turner family and their quirky brand of joy, hope and acceptance. Pure entertainment with a sense of fun, this is one book you'll want to read again and again. I'm glad to see that you loved this one! I've been wanting to check this one out for a long time, but I've not been seeing any reviews on it. This makes me want to check it out! Great review. It's only just been released, so you should be hearing more about it soon I suspect. It's incredibly funny and really heartwarming. Definitely grab a copy, you won't be disappointed. I'm glad that you loved it, but I heard a lot of people weren't happy with the portrayal of her mental illness. And this is Sophie Kinsella. I've read her other books, and they're nice if you want something shallow, but I didn't really enjoy them either. When it comes to mental illness, I can only imagine how difficult it is for an author because ultimately there'll probably always be someone who's taken offense or it just simply didn't work for them. The bigger picture is though, I think we've come to associate mental illness with sadness and poignant storylines and it doesn't need to be dark and confronting. Audrey's illness wasn't made trivial or used as fodder to inject comedy into the storyline, but life did go on around her, as you'd expect and had nothing to do with her illness. I think when it comes to teen illness books, so many of us have our John Green glasses on. I thought this was a breath of fresh air. I do hope you'll give it a chance Shannelle, it might really surprise you. As someone WITH anxiety, I am verrrrrry interested in this one. I've actually been seeing it quite a bit in bookshops lately, though I never picked it up (yet!) I'll definitely keep a close eye on my local bookshops and library for it though. Audrey's illness is just a small part of her family's life, which I found really refreshing to see that even though they cared deeply for her, life still goes on for the family. It's so incredibly funny too, you'll laugh yourself silly. I can't wait to see what you think of it Kara. Oh, this sounds great! The mom seems like an interesting character for sure. Her mother was so outrageously funny, I couldn't stop laughing at her ridiculous antics. I hope you can grab a copy soon Christy, it was awesome! Awwww this sounds really lovely. I believe my sister may have bought it for me for my birthday, so I can't wait to read it! Plus, I LOVE Sophie Kinsella!! Me too and can you believe that this is her debut young adult novel! reading this, she's a complete natural. It was incredible and fingers crossed she's bought you a copy. Or you might need to beat the cash out of her and buy your own. I think this is pretty much a book that suits a wide variety of tastes, it's not your usual 'sick' storyline, but the emphasis is very much on family and relationships. Perhaps see if your local library can get a copy in for you and have a browse, it's really incredible Romi. It's interesting to see a book that deals with extreme social anxiety, because I had quite a bit of it when I was in high school/early college. I still have anxiety but it's not nearly as bad. Thanks for sharing! I'd really love to see your thoughts on it Lauren, especially the social anxiety aspect. It's such an incredible book, and the author's first foray into young adult as well. I think you'll absolutely love this one. Gosh. I had the opportunity to review this book, but I passed on it. Who knew how great it was! Her illness is certainly interesting, and I'm curious to see what made Audrey hide from the world. I so want to read this now, too! Lovely review, as always, Kelley! Thanks Joy. Hopefully it's not too late and you're still able to review it. It was actually her insane mother that really endeared me to the storyline, and her obsession with The Daily Mail. I absolutely loved it, so incredibly funny. Awe, everyone is absolutely raving about this one so i'm not at all surprised to read about the awesomness of Finding Aubrey in your review. I'm always intriguied by book that shed light on mental illness but so few every get it right or make it more about the character than the actual illness. Lovely review Kelly! Exactly right Lily. Because characters are more than their illness. It's such a lovely and pleasant surprise to see that even though the illness is such a big part of who Audrey is, I loved how the lives of those around her didn't stop. Because life still needs to move on around her. It's brilliant Lily and I think you'll absolutely adore this one. Absolutely amazing, couldn't have said it better myself Benish. You're welcome poppet, and I have absolutely no doubt you'll love it as much as I have. Can't wait to see what you think of it. It's fun and fabulous, not your usual young adult 'illness' read. It's such a lovely change from the typical books about illness being emotional and leaving you a snotty, sore eyed mess. I laughed the whole way though it. Forget your little sister Claudia, you'll want this one for yourself! Maybe because you've only seen her other releases, but this is the authors first young adult release, and she absolutely blitzed it! I'm so sorry to hear about that Paula and glad that you were able to find help and find that happy and most importantly HEALTHY balance. I love books that can open us up to a world where we can relate and don't feel so alone. Really looking forward to seeing what you think of it Paula, and thank you for sharing yours story poppet. This sounds so unique. I love it when authors take their own spin on the conventional way books are written. I haven't read any Sophie Kinsella for the longest time and I really hope I can soon. Especially with how interesting this one sounds. Lovely review Kelly! Thanks Laura and lovely to see you again poppet. This book is magnificent! Please add it, buy it and read it, it's brilliantly funny and you definitely won't be disappointed. Trust Sophie Kinsella to turn a book about a mental illness into something light hearted and funny! 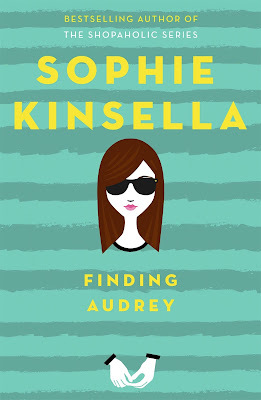 I really want to read this book, as I loved Sophie Kinsella's books and her quirky characters. Her stories has never failed to make me laugh out loud - her Undomestic Goddess is my favourite, have you read it, it's hilarious!- and I am not going to miss out her take on YA! I haven't but I seen it book shopping last weekend and now wish I had of grabbed a copy too. I couldn't believe this was her first young adult release, she's an absolute natural! It was the perfect contemporary read, funny, loving and the character fly off the page. Can't wait to see what you think of it Mishma, it's brilliant! Oh that sounds so cute! I love Sophie Kinsella books and this one sounds so amazing. I love that it deals with something very real -anxiety issues- and yet at the same time can remain funny and entertaining. Great review, Kelly! That's what really drew me into the storyline as well. That it was able to still touch on the very real issue of anxiety, but yet still provide a sense of fun and hope. I laughed the whole way though! Wonderful review Kelly, I absolutely adored this one as well with the combination of the hilarious family antics and computer gaming addiction and the romance with Linus. It was such a cute and positive read! It really was wasn't it! it was just what I needed, something fun, funny and really heartwarming. Will definitely be branching out into her other titles now too. The thing I love about Kinsella is her ability to make me snort-laugh while reading, so I'm pleased to hear her YA is just as light-hearted, although I'm also impressed to see her talking about anxiety and hopefully making it something that's easier for people (especially teens) to talk about. I'm looking forward to this! I think this definitely goes a long way to bringing it up for discussion, especially approaching it not only with humour, but by showing that it's really not the end of the world. Life goes on and even those who suffer from debilitating social anxiety can find hope to overcome it. This sounds like a great book. I love that so many authors are dipping their toe into the waters of mental illness in a sympathetic and supportive way! Me too Deborah, it really is a great starting point for teens to feel more comfortable in discussing mental illness with peers especially, and give them a greater understanding. I loved this one, it's absolutely brilliant. I am excited to insist that my work purchases this book.